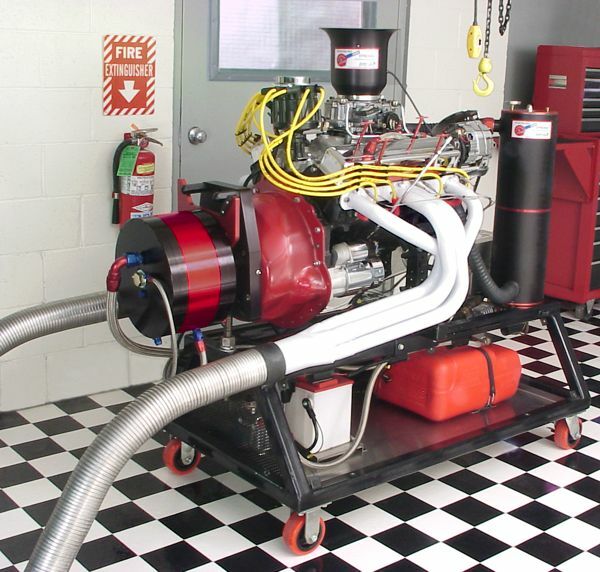 The engine dyno is a 14" dual rotor Land & Sea. It is capable of air flow, fuel flow, EGT, BSFC, horsepower and torque measurements. Click here for more information on DYNO-mite dynamometers.